DAYTONA BEACH, Fla. (August 3, 2016) – NASCAR today announced several changes within its leadership structure. Effective immediately, Steve Phelps will assume the role as NASCAR Executive Vice President and Chief Global Sales and Marketing Officer. The business areas that Phelps will oversee include Global Marketing, Partnership and Series Marketing, Business Development, Integrated Marketing Communications, Licensing & Consumer Products, and NASCAR Digital Media. He will continue to serve as NASCAR’s top Officer in the Charlotte office. NASCAR has enjoyed tremendous global growth and is now being distributed in 185 countries and territories around the world. Phelps will now lead a strategic global marketing effort, as NASCAR digital and social platforms create the potential to lead further global growth and direct engagement through NASCAR.com and key social platforms. The strategy will be to transition International admirers of the sport into more engaged, passionate fans. Jill Gregory has been named Senior Vice President and Chief Marketing Officer. Gregory joined NASCAR in July 2007 after working in executive roles at Bank of America and Sprint. She was among the inaugural group of executives honored as “Game Changers” in 2011 by Sports Business Journal, recognizing the top female executives in the sports world. The business areas that Gregory will oversee include Brand and Consumer Marketing, Brand Platforms, Entertainment Marketing, Driver Marketing, Team Marketing, Social Media and Analytics and Insights. Gregory revised NASCAR’s marketing strategy this year so the organization now leads with fan engagement and digital and social media first, which has been reflected in the popular “Ready. Set. Race” marketing campaign. The #Hashtag500 social media program that Gregory spearheaded saw the highest volume of NASCAR-related conversation ever measured on record, while NASCAR also won three Silver CLIO Sports Awards this year for Integrated Campaign, Social Media and Film. Norris Scott has been named Vice President, Analytics and Insights, a new position within NASCAR. Scott, who joined NASCAR in 2005 in Partnership Marketing after working at ESPN and the NFL, now will oversee the growing consumer research functions at NASCAR including Social Analytics (NASCAR Fan & Media Engagement Center), Digital Research, Sponsorship Valuation, and Media and Market Research. NASCAR’s research activities will continue to evolve and expand to serve the industry with best-in-class analytics and insights. Under his leadership, Scott will take this function to the next level. Lou Garate has been promoted to Vice President, Partnership Marketing. 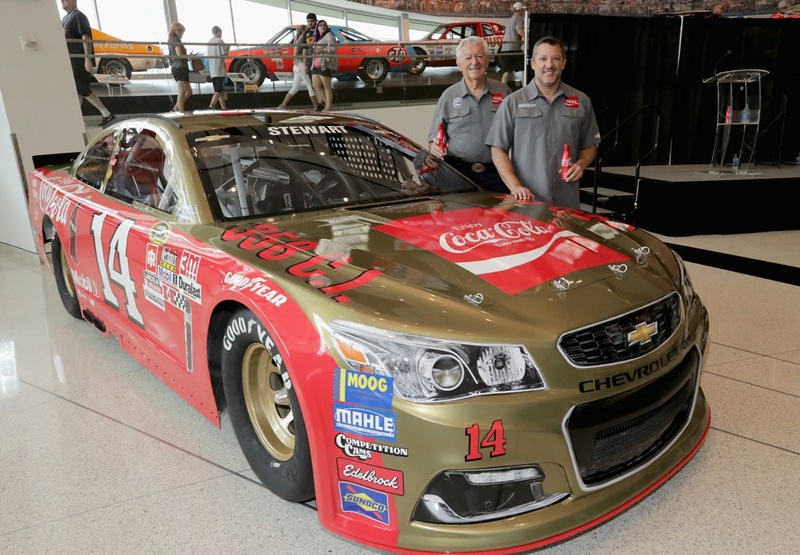 Garate has been at NASCAR for nearly 10 years, working closely with official partners such as Chevrolet, Ford, Goodyear, MillerCoors and Toyota. He has developed and strengthened many partner assets including the Coors Light Pole Award, Coors Light Silver Bullet Bash, NASCAR Evening Series and Victory Lap fueled by Sunoco. Garate is an industry veteran with experience on the property side (NFL) and agency side (Millsport). He now will expand his role working with NASCAR’s growing stable of sponsors and partners. “We’ve been bold in our efforts to modernize and diversify our business and executive team, and these changes further reflect that fact,” said Brian France, NASCAR chairman and CEO. “Today’s announcement underlines the importance that NASCAR puts on specific areas of our business, and has been done in sync with structure and personnel changes made last month in the racing area. The National Association for Stock Car Auto Racing, Inc. (NASCAR) is the sanctioning body for the No. 1 form of motorsports in the United States. NASCAR consists of three national series (the NASCAR Sprint Cup Series™, NASCAR XFINITY Series™, and NASCAR Camping World Truck Series™), four regional series, one local grassroots series and three international series. The International Motor Sports Association™ (IMSA®) governs the IMSA WeatherTech SportsCar Championship™, the premier U.S. sports car series. Based in Daytona Beach, Fla., with offices in eight cities across North America, NASCAR sanctions more than 1,200 races in more than 30 U.S. states, Canada, Mexico and Europe. For more information, visit http://www.NASCAR.com and http://www.IMSA.com, and follow NASCAR on Facebook, Twitter, Instagram, and Snapchat (’NASCAR’).